Adding insulation to walls by retro-fitting wall insulation used to be an unpleasant, expensive and messy task. CosyWall has changed all this by offering an affordable, quick and clean method of adding insulation to the walls of your home, and with it’s high insulation values, it is more effective than most conventional wall insulation products. CosyWall retro wall insulation is certified for installation in most types of houses. It is compatible with most types of construction and is especially suitable for older pre 1990 houses. 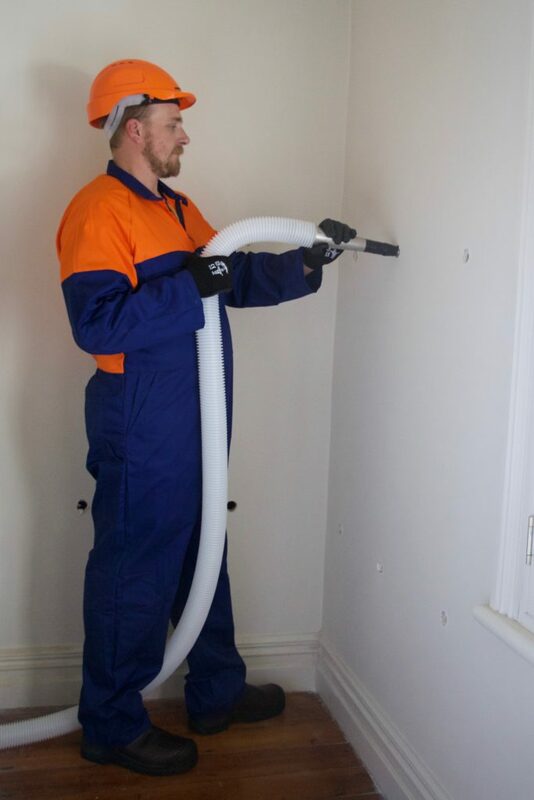 We can add CosyWall insulation to 99% of external claddings or internal linings, and you have the peace of mind of knowing that it has been tried and tested in thousands of New Zealand homes. CosyWall is a dry mineral fibre which is installed through 18mm-28mm holes in the exterior cladding or interior linings. Our network of highly trained and professional licensed installers will pre-asses your property and then ensure that the product is correctly installed using infrared imaging and endoscopic cameras. They aim to leave your home the same way they found it, with no visible signs that the insulation has been installed. Cost effective CosyWall insulation is safe, inert and fully certified to meet NZ building codes. It doesn’t sag or settle, has no added formaldehyde, is non-combustable, and best of all, is guaranteed for 50 years. The end result is a warmer, drier, quieter and healthier home plus, of course, lower heating bills. Adding insulation to walls is easy. Simply book a free assessment with your local CosyWall distributor here.